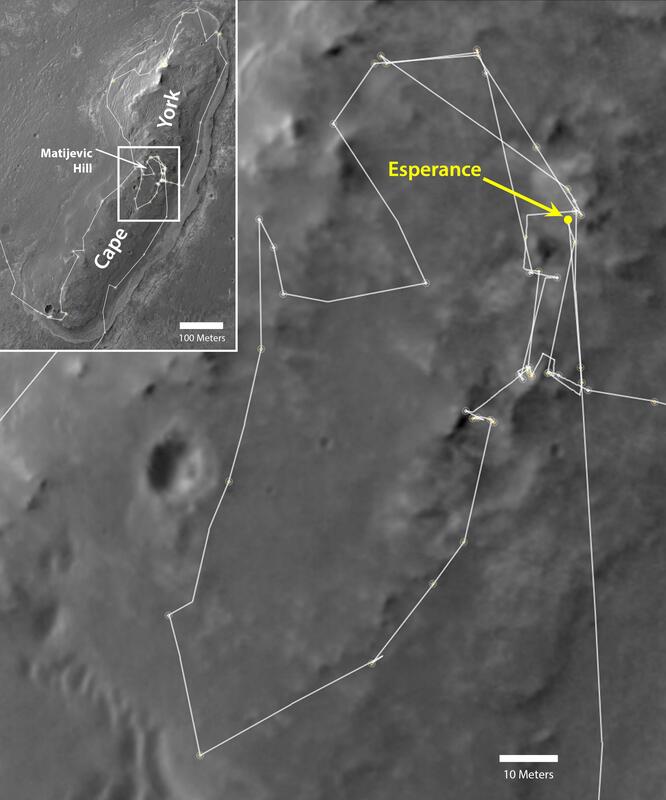 NASA's Mars Exploration Rover Opportunity drove onto the "Cape York" segment of the rim of Endeavour Crater in August 2011 and departed Cape York in May 2013. 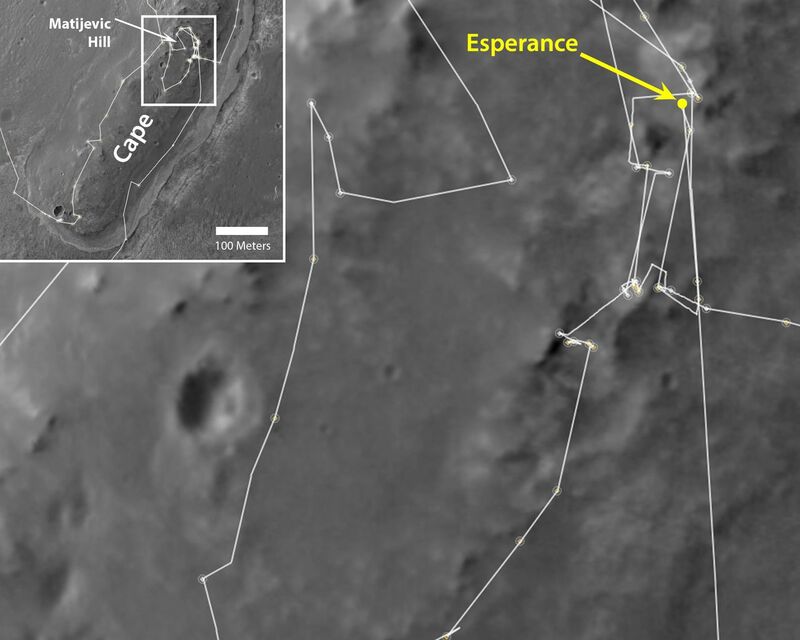 The inset map at upper left shows the full path taken by the rover at Cape York and the location of the "Matijevic Hill" area, which is magnified in the main map. 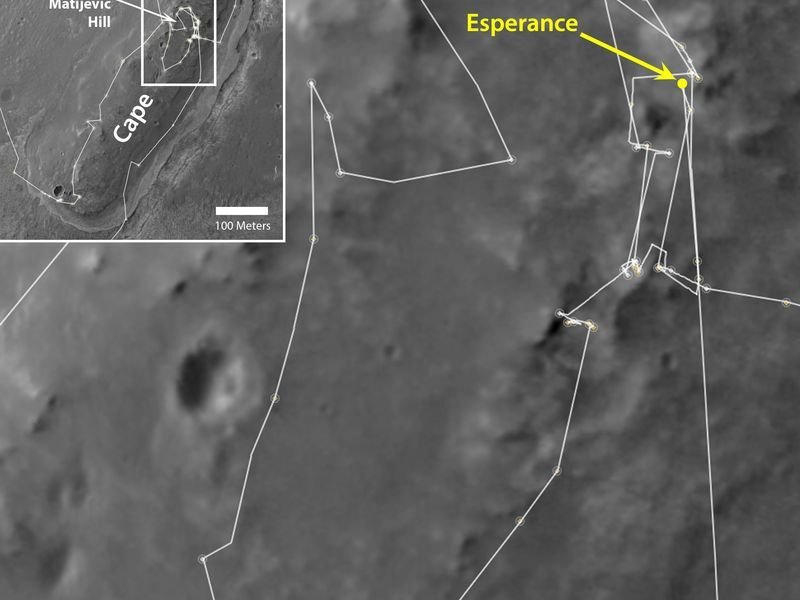 The location of a rock target called "Esperance" is indicated in the main map. Opportunity found evidence of clay-mineral composition at Esperance, indicating a history of alteration by water that was not strongly acidic. North is to the top in both maps. 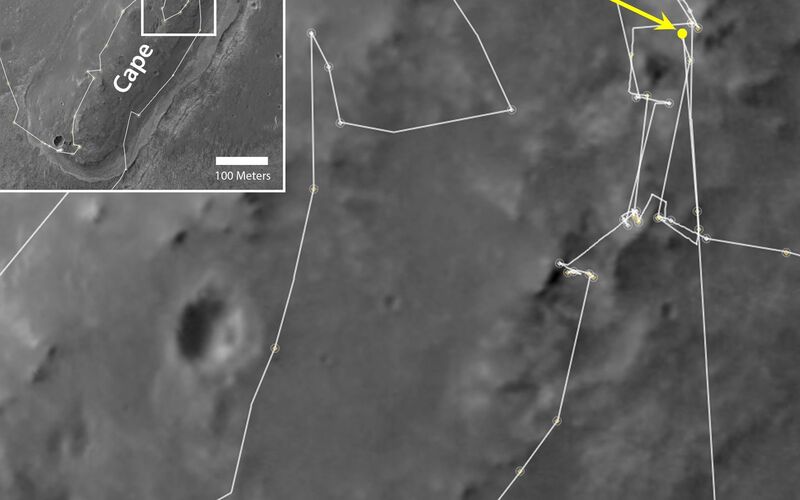 The scale bar in the main map is 10 meters (33 feet). The scale bar in the inset is ten times longer. The base imagery for the maps is from the High Resolution Imaging Science Experiment (HiRISE) camera on NASA's Mars Reconnaissance Orbiter. Opportunity's route enters the inset map from the left (west) and leaves at the bottom (south).